LIMA, Peru — The teams from Paris and Los Angeles had not yet even taken to the floor to make their formal presentations Wednesday to the members of the International Olympic Committee when, with president Thomas Bach outlining the run of show, he explained how Paris would be getting the 33rd Summer Games in 2024 and Los Angeles the 34th in 2028. Not yet, Bach said. Not yet. Even so, ladies and gentlemen, that is pretty much how the 2024 and 2028 Games were awarded. A beautiful scene unfolded Thursday inside the Los Angeles Memorial Coliseum amid the International Olympic Committee’s evaluation commission tour of the would-be 2024 Games venues. It was everything that is great about the Olympics, past and present, inspiration then and now. But because the IOC’s communications strategy is so godawful the IOC didn’t tell you about it. This, in a nutshell, is why the IOC is facing a grave credibility crisis around the world. This, too, is why the IOC must come back to Los Angeles instead of opting for the only other choice in the 2024 race, Paris. In the LA spot, mayor Eric Garcetti said, “Many believe that the bids ... are quite similar when in fact the two bids that we have presented before us are quite different,” a distinction that even in 10 short minutes times two became crystal clear. The mayor, also in Q&A: “We see our legacy not just as a physical legacy. So often, the Olympics are about, what are you going to build? For mayors, it’s about — what part of town are you going to revitalize? Our experience from 1984 is what’s more important is the human legacy. It’s one of the reasons the profitability from the 1984 Olympics has spent $250 million on people and facilities and coaches. So, for instance, in a low-income area of Los Angeles called Compton, two African-American girls named Venus and Serena Williams were exposed to tennis as little girls. Today they’re two of the best tennis players in history. Our vision is to have a human legacy that sports is made free and universal for all youth in Los Angeles — forever." Five for 2024 -- how many make it to 2017? The International Olympic Committee on Wednesday celebrated the announcement that five cities are now formally in the race for the 2024 Summer Games: Paris, Los Angeles, Rome, Budapest and Hamburg, Germany. After the debacle that was the 2022 Winter Games race, which ended up with only two finalists, Beijing and Almaty, Kazakhstan, Beijing in July elected the winner, you can see why this list of 2024 possibilities would be cause for IOC festivity. "We can really look at the very diverse and creative field," IOC president Thomas Bach said in a Wednesday teleconference with reporters, "and we are looking forward to a fascinating and fair competition among these five outstanding and highly qualified candidate cities." At another moment in the call, Bach said, "This competition is about quality, not quantity. What we see are five really highly qualified candidate cities. This is why we welcome really each and every one of these cities to this competition, which will be a very, very strong and fascinating one." Would anyone be surprised, really, if as soon as six months from now, this 2024 race is already down to three? Or, when it comes to legitimate contenders, practically speaking, two? That’s the first thing to keep in focus as Campaign 2024 gets underway. 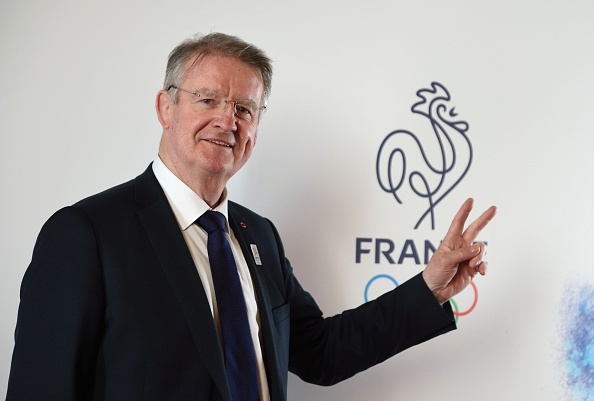 For all the talk about Agenda 2020, the 40-point would-be reform plan the IOC approved last December, there’s a more than reasonable chance the IOC could find itself right back in a 2022-like situation. This, even though the IOC announced last month, as an obvious result of the 2022 process, that it would no longer be trimming a bigger list of “applicant,” or first-stage, cities, to a shortlist of “candidate” cities, or finalists. That cut used to come about halfway through the roughly two-year bid cycle. Now, from the start, everyone will be a finalist, a "candidate," as Bach noted Wednesday. The reason: the IOC gets a bigger field of cities. If, that is, they can stay viable. Search the globe for the cities that ultimately decided not to bid. Toronto, which this summer staged the Pan Am Games? Nope. Too much money, not enough political support, the mayor announced. Durban, Cape Town or Johannesburg, South Africa? Not ready for prime time. Baku, site earlier this year of the European Games? Ditto. Doha? Which ran for 2016 and 2020? Not this time. Politics. Bach noted without further comment that Doha "obviously decided not to take part in this invitation phase." What's obvious is that it is far easier for Bach -- 2024 is his first Summer Games bid cycle as IOC president -- without Baku or Doha. So that leaves, for now, five. Hamburg, though, is facing a November referendum. No one can muster any degree of confidence that voters will give it the go-ahead to keep on until the IOC decides the 2024 race, in September 2017; the $51-billion figure associated with the 2014 Sochi Games scared numerous western European cities out of the 2022 race. As Bach noted without comment on Hamburg itself, the IOC is interested in a "culture of welcome," a city where "the population is clearly supporting the Olympic Games and is welcoming the athletes." Rome bid for the 2020 Games, for a short while, until the national government said, uh, wait, this Olympic thing costs entirely too much. Now Rome is back. With a campaign budget, announced last month, of 10 million euros, about $11 million. That is laughably low. Paris is figuring about 60 million euros, $63 million, and that’s probably not enough. Budapest? Great city. Fantastic to visit. Not a realistic chance of winning, and indeed this 2024 effort might well be seen as a trial run for 2028 or beyond. It states the obvious to note that the migrant crisis enveloping Hungary, and for that matter a great deal of Europe, with seemingly no solution in sight, has made Budapest’s already dim chance for victory that much more remote. How the migrant crisis affects Hamburg, if it gets past the referendum, as well as Rome? No one knows. "This humanitarian challenge is going beyond Olympic candidatures," Bach said. "While we speak, political leaders in Europe and in the world are discussing how to address this great humanitarian challenge. I hope they will come together to a solution which in the end does not only address this challenge with a solution for this very moment but that, together, they are looking to a solution which allows these refugees to live at home in peace and prosperity. I think this is the real challenge." With all that, and this is hardly a secret in select Olympic circles, that leaves Paris and LA. It is fact that the Summer Games have never been away from Europe for more than 12 years. The most recent Olympics in Europe? 2012, London. The 2016 Games will be in Rio de Janeiro, 2020 in Tokyo. Does that suggest Paris will be the slam-dunk winner? This race is, from the get-go, all about the United States. Though the IOC will go to Asia for three straight Games after Rio -- Pyeongchang 2018, Tokyo 2020, Beijing 2022 -- there are no 2024 Asian bids. Over the next two years, expect many, many reports -- they started already Wednesday -- about how this is actually Europe versus the United States: that is, LA against the other four. This 2024 race is, plain and simple, a referendum on the state of the United States within the International Olympic Committee. By 2024, it will have been 28 years since the Summer Games were staged in the United States — in Atlanta, in 1996 — and 22 years since the 2002 Winter Games in Salt Lake City. The IOC doesn't subscribe to a rigid rotation. At least in theory. In practice, it's apparent the United States is due. Overdue, actually. Plus, there is the simple matter of NBC’s $7.65 billion investment in the Games, from 2021 through 2032. To be clear: the network does not get into the bid game. But it's also the case that at appropriate moments the IOC acknowledges the American contribution to the Eurocentric movement. New York lost in 2005 for 2012. Chicago lost in 2009 for 2016. If Los Angeles loses in 2017 for 2024, the IOC will have burned through the three biggest cities in the United States. Boston is not going to bid again, perhaps ever, and certainly not in any of our lifetimes. San Francisco can’t win; if it could, you can be sure San Francisco would be the 2024 entry. Washington is often perceived, right or wrong, as the seat of American imperial power; no way. That would leave the likes of Dallas or Houston. Or joke bids such as Tulsa, Oklahoma. Again, not a chance. If Paris doesn’t win for 2024, it can — and will — bid again. Forget about Paris winning in 2024 as solely a way-back machine shout-out to the 1924 Paris Games. That actually might well be a point against Paris, which becomes super-evident if thought about for more than a second. If the IOC starts awarding Games because it’s the 100th anniversary of this or that, no other city in whatever race would stand a chance against the 100th anniversary candidate from Country X. That 100th anniversary thing? Didn’t work for Athens for 1996. See Atlanta. If LA does not win for 2024, there is no certainty of any sort the U.S. Olympic Committee would have the will, or be able to summon the cash, for another run. So it’s Los Angeles, right? Except: if LA puts forward a compelling case, you can be sure Paris will, too. Even at the outset, however, it’s apparent both face intriguing challenges. So who, now, is in charge of this Paris campaign? Estanguet? Lapasset? Thobois? The French Olympic Committee? Or, despite protestations that this is really a sports-led bid, is it the mayor of Paris, Anne Hidalgo? The president of France, Francois Hollande? Further, with all due respect to the longstanding Olympic consultant Mike Lee and his London-based Verocom agency, how is it that the Paris announcement Tuesday came from Verocom instead of, from, you know, Paris? The facile thing would be to go round and round about whether LA got put forward as a second choice. LA is not a second choice. Instead, LA is the product of the Agenda 2020 reforms, which allows a national Olympic committee to figure stuff out before the formal submission date to the IOC, which in this instance was Tuesday. That's the "invitation phase" Bach was talking about. — One, the Olympic Village plan is not locked down. Expect a lot of chatter about how it is going to cost a lot of money: $1 billion, according to the bid book. That’s going to be, in large measure, third-party money, $925 million of it; the developer is not yet identified. Hardly. That's the sort of opportunity a shrewd business person would like to have. The rules of the journalism business preclude us jackals of the press from getting in on the deals we report on. That’s an obvious conflict of interest. It’s also the case that journalists do not often make good business people. Nevertheless: you’d have to be an idiot not to see the extraordinary upside in a deal for new housing in housing-starved downtown LA, which even the New York Times has this year anointed the cool capital of the very people the IOC is so eager to attract, the younger-shading demographic. Meanwhile, the IOC announced Wednesday it will contribute $1.7 billion to the winning 2024 committee for the organization of the Games. The LA bid had forecast $1.5 billion, the level of the IOC contribution to the Rio 2016 Games. So the LA bid is already -- without doing a thing -- ahead on the organizing committee ledger by $200 million. Bach said any of the five 2024 efforts "can be very confident" to "have a profit in their organizing budget." — Two, Bach has in the two years he has been IOC president visited roughly 100 heads of government or state. President Obama? A noteworthy no. Next month the Assn. of National Olympic Committees meets in Washington. This marks a major event on the Olympic calendar. It's unclear if the occasion will see Obama meet with Bach. This, though, is clear: there will be a new U.S. president in January 2017, eight months before the 2024 IOC election. — Three, Anita DeFrantz lives in Los Angeles. She, like her colleague Claudia Bokel from Germany, serves on the IOC’s 15-person, policy-making executive board. It’s a clear conflict of interest for both to be involved in 2024, the kind of point the Agenda 2020 reforms should have addressed but don’t. Bach, who is German, has made it expressly clear he will be studiously neutral in regard to Hamburg. It’s thus straightforward logic that DeFrantz and Bokel ought to be made neutral as well. At the same time, it’s unrealistic to expect that DeFrantz, and her wealth of experience — she has been an IOC member since the mid-1980s and is herself a bronze medalist, in rowing at the Montreal 1976 Games — ought to be sidelined completely. Same for Bokel, a fencing silver medalist at the Athens 2004 Games and since 2012 chair of the IOC’s athletes’ commission. For DeFrantz, who for more than two decades oversaw what is now called the LA84 Foundation, awarding millions in grants for youth sports in Southern California, the answer is simple: the creation of another legacy institution, patterned perhaps after World Sport Chicago, that she can chair or otherwise serve in a significant capacity. It can — should — be nationwide. That means she could — should — be freed to extol the virtues of the Olympic movement throughout the United States. What to do about Bokel? That’s a Germany problem. If Hamburg sticks around that long.